It's been a little while since I put anything up, but finally, a little bit of time to get something blogged. I had one of those 'A-HA!' moments a little while ago. You know, that one that makes you wonder why you didn't think of it sooner? I was working with a friend, and they showed me this way of creating a skeleton for your frame generator. Here's a couple of quick steps on how it's done. 1) Create a solid, and drop it into an assembly. I changed the color to red so it would show better. 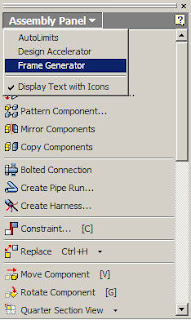 2) On your assembly panel, switch to the Frame Generator. 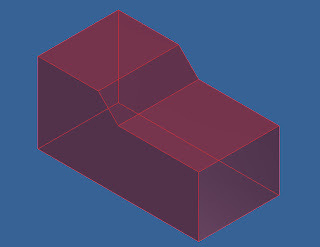 3) Now you can insert your frame members on the edge of the solid. 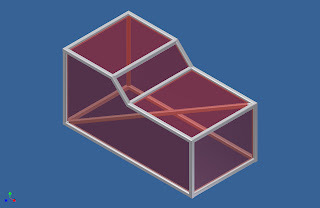 You can also use the point to point tool to create diagonal bracing! Have fun trying this out! There's a couple of places this definitely would have made my life easier.